I totally love this whole trend of lip colours being packaged in a chubby crayon and Revlon's just bitten kissable balm stains are my favourite lip range . I actually have 6 shades from this very range and today I am going to review a red (romantic) from this range . Revlon Balm stains are fancily packaged like a chubby retractable crayons and all shades coloured with silver twist up base. I love how these crayons dont require sharpening and can be applied even without a lip brush. 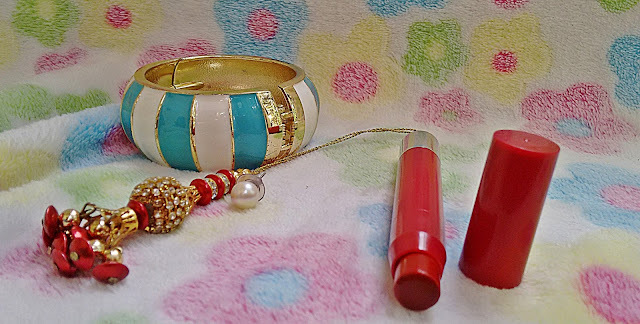 When in a hurry, i reach out to these balm stains to get a pop of colour in a jiffy. Revlon's Just Bitten Kissable Balm Stain in Romantic is a warm red with coral under tones giving a glossy red finish. 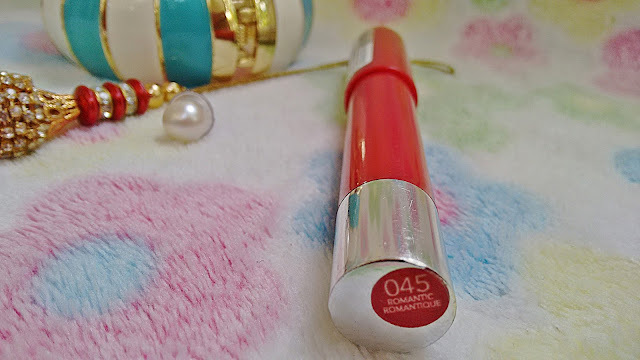 On application it gives a minty and cool sensation to lips which goes away after a minute . The texture is like that of a lip balm and this can be wore like a tinted lip balm with a single swipe or you can build up the coverage and flaunt a high intensity warm red shade for parties. As for the balm stain claim, this lip colour lightly moisturizes and doesnt dry out lips but of course you cant use it as a substitute to your lip balm. Glosses are sticky, lipsticks feel heavy but this balm stain from Revlon is super light weight and non greasy making it a winner product for me. The best part is yet to come, the staying power. The Revlon kissable Balm Stain in Romantic lasts a good 7 hours on my lips when I wear it in full intensity (5-6 swipes) and even after that there is still a stain on my lips which i have to remove with a makeup remover. I just hate touching up lips and this product is a blessing for me. My most used red, see how the tip isnt sharp at all? Well I may need to repurchase this soon. Super. Love . 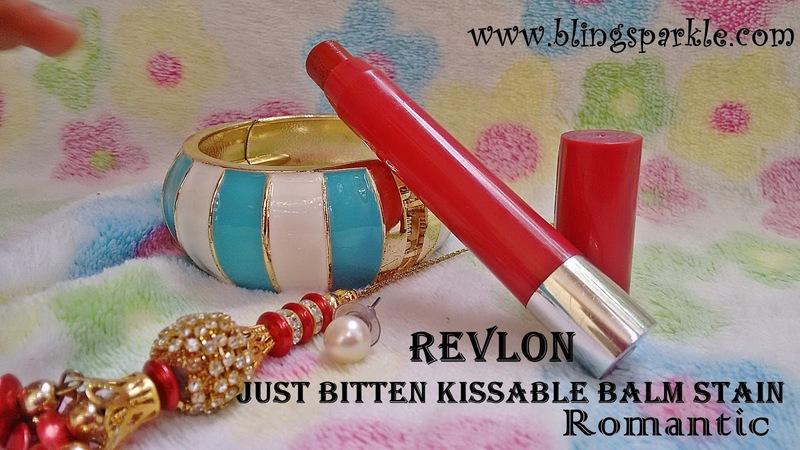 Overall Revlon just bitten kissable balm stains are an very amazing range of lip colours and you should definitely try atleast one shade from this range. This particular shade Romantic is a nice warm red to have as it can be worn everyday or even to parties. totally must have for red loving beauties. Go get this. This post is Day 3 of our #15DaysOfRedLipColours challenge.